The Kapalua (Lahaina-Kaanapali) Airport (JHM) is a commercial airport that is only served by propeller air carriers and commuter/air taxi aircraft. This facility originally began as a private facility until its acquisition by the State of Hawaii. The facility consists of one runway with a terminal and support facilities. 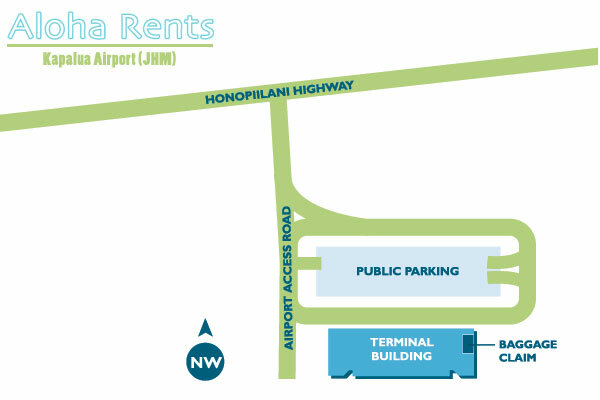 Access to this airport is provided from a two-lane road off of Honoapiilani Highway. Improvements to this airport are limited. 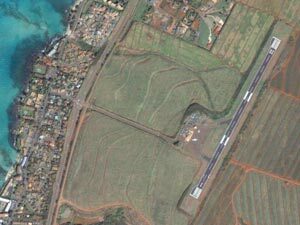 The runway, apron and other facilities cannot be expanded without changes to the existing agreement with the County of Maui. This airport can be a nice place to arrive and depart if you are staying in one of the many condos on the North Shore. Operations are currently limited to daytime hours. All of our car rental partners are located in the small town of Lahaina. They operate on a limited schedule (7 AM to 5 PM) seven days a week. Of course, taxis are available 24 hrs per day. Your confirmation email will have a phone number in it. Once on the ground at JHM, call the agency for their complimentary shuttle service. It typically takes only 10-15 minutes to arrive.